It’s officially been 2 weeks since I became Mrs. Drew Hawkins. It may be cliche, but I can honestly say that small amount of time has flown by. It seems like only yesterday that I was getting my hair and nails done, slipping (or rather crawling) into my very large cinderella-esque wedding dress, and walking down the aisle toward the man I’d spend the rest of my life with. So, in an effort to prevent any more future days going by in a blur, I’ve decided to start documenting our newlywed life, day by day. Since I obviously haven’t gotten into the swing of this blog, I can’t say for sure what content I’ll be posting. I’m sure there will be a good amount of cooking adventures and recipes (our newly equipped kitchen is easily the favorite room in our apartment! ), posts about events and happenings in Atlanta, home decorating and general “nesting,” as well as a random new band we’ve discovered or a restaurant recommendation. 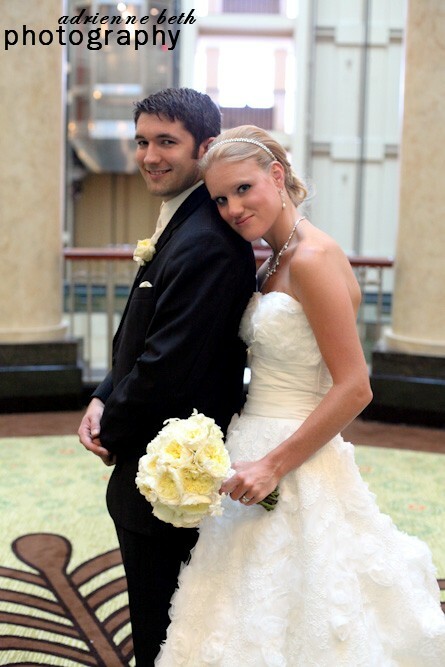 To give a little background about us…Drew and I met during our college years at Western Kentucky University. He graduated and moved to Chicago while I still had two years left of school. We decided to try the long-distance thing and less than a year later, Drew proposed. Just when I thought I’d be moving to Chicago post-graduation, Drew got a new job at an advertising agency down in Atlanta. So, after a year and a half engagement, Drew and I tied the knot on August 6th at the church I grew up in. Fast forward to the present and we’re (almost) settled into our one-bedroom apartment in Midtown Atlanta. I look forward to you sharing your and Drew’s new adventures! I look forward to hearing more of your adventures. I love it!!! Can’t wait to read more posts! You two are off to a great start. Jim and I say you all started out in true Hawkins fashion and tradition. Don’t know if you realize this or not, but on Thursday evening before you were to wed on Sat,, I gave you two the book “When God Winks At You” and inside wrote “I hope the two of you experience many God winks as you journey in life together.” From the perspective of Jim and Me, you two have already experienced a couple of God winks!! This is so smart, Meg! I wish I could remember half of what Craig and I have been through but the years fly by and the memories fade so quickly. Keep this up and you will have a real treasure.